The VCU versus Oregon State matchup is one of the most interesting games in the fist round of this year’s tournament. For starters, the Rams enter as the seed underdog but Vegas and computer favorite to win. The black and gold play out of the Atlantic 10 but will be facing a “power 5” foe that hasn’t danced in 26 years. 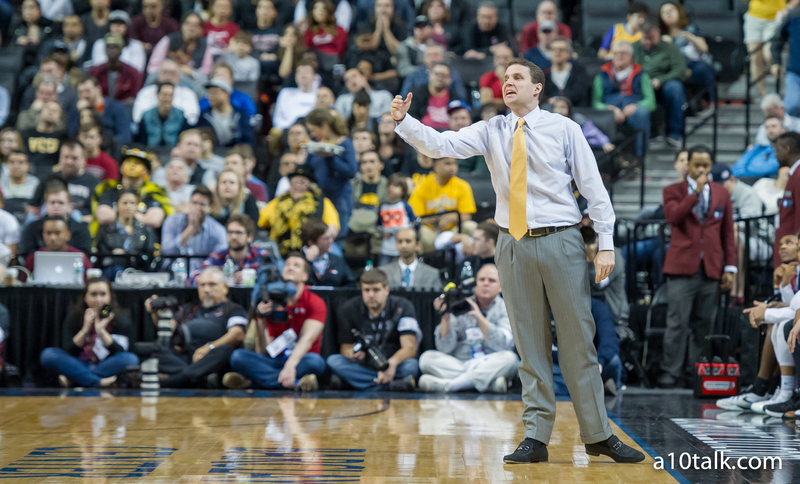 The Rams danced nine times between OSU’s last NCAA tournament appearance and this year’s bid and will make their 10th appearance since that 1990 season, VCU’s sixth consecutive trip to March Madness. WHO AND WHAT IS OREGON STATE? It took 26 years and five coaching changes to get Oregon State back into the bracket, but they are finally getting things done under second-year coach, Wayne Tinkle. The former Montana Grizzlies head coach took over Craig Robinson’s team and with the help of “The Mitten”, Gary Payton II (15.9 ppg, 7.9 rpg, 5.1 apg, 2.5 spg), son of NBA legend Gary Payton, earned a trip into this year’s bracket after finishing 9-9 in Pac-12 play. The Beavers are battled tested with 11 wins over kenpom top-100 teams including a conference-opening home win over an Oregon team that grabbed a No.1 seed in this year’s tournament. OSU will be without second leading scorer, freshman Tres Tinkle (13.1 ppg, 5.4 rpg), son of head coach Wayne Tinkle, but will look to fill that void with fellow freshman Stephen Thompson Jr. who is averaging 16 points in extended minutes. While The Beavers have some height on their roster, they play more like a Davidson than a Saint Joseph’s, getting their best offense and defense outside of the arc. OSU ranks 52nd nationally in three-point offense and 78th in three-point D, but find themselves outside of the top-200 on both sides of the ball inside the arc, welcome news for a VCU team that has faired best against similar teams teams this season. The Beavs have struggled to rebound but help offset that disadvantage with a +2.10 turnover margin thanks to Payton’s 2.5 steals per contest. Gary Payton II – The senior found his way to OSU via Salt Lake Community College and has made himself a legit NBA prospect thanks to a strong game on both sides of the ball. Payton ranks tops in the Pac-12 in both assists and steals rate but can be a very streaky shooter. Not a huge deep threat (31.3% on 67 attempts this season), Payton does most of his damage inside the arc. Stephen Thompson Jr – The freshman has seen an increased role due to the injury to starter Tres Tinkle and has been a volume shooter all season long, ranking first in the Pac-12 in percentage of shots while on the floor (shoots the ball once of about every three trips down the floor). Another very strong defender, Thompson is averaging 2.75 steals since the injury to Tinkle. He’s a capable shooter at 35.9% outside the arc (117 attempts) and 46.1% inside of it. Malcolm Duvivier – A 6’2 Canadian junior, Duvivier’s numbers don’t jump out at you but you can expect to see a lot of him Friday. He takes about as many threes as twos but hasn’t been particularly efficient at either despite taking the third most shots on the active roster (due to Tinkle’s injury). Olaf Schaftenaar – One of FIVE players standing 6’10 or taller on OSU’s roster, Schaftenaar plays smaller than his height, taking twice as many threes as twos typically. Doesn’t rebound well or finish in the paint for someone at his height but will attempt to stretch VCU’s defense for about 26 minutes on Friday. Drew Eubanks – The 6’10 freshman can sometimes see his minutes limited due to foul trouble but while on the floor is a capable big, hitting over 57% of his attempts on the season while blocking 6.8% of his opponents shots on the other end of the floor. Has a tendency to disappear on offense but can give you OSU 13 points evenings from time to time. On paper this is the type of matchup the Rams needed if they were to pull out a first round win as a double-digit seed. OSU can be beat inside the arc and those are exactly the types of teams VCU has had the most success with this season, assuming they can slow down Gary Payton II. The Rams will have had close to a week to get healthy and prepare and should be able to pull out the win, setting up a likely second round contest with 2-seed Oklahoma.